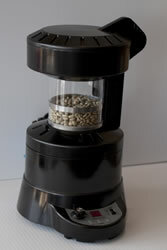 Just as the coffee beans are crucial for good coffee, home coffee roasting machines can be just as important. If you don’t have the right coffee roasting equipment, you could ruin a good cup of coffee. There is so much variety when it comes to coffee roasting equipment, it may be hard to choose. But when you choose from BurmanCoffee.com, you can be sure that you are getting equipment that is priced right and will produce a cup of coffee that you will never forget. If you have any questions about the roasting equipment that we carry, please contact us today. We can help you determine the right roaster for your needs. 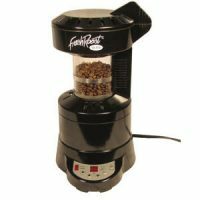 The FreshRoast SR500 is our most versatile, quickest, easiest to use, and best selling home coffee roaster. Behmor has updated to the improved Behmor 1600 AB Plus! 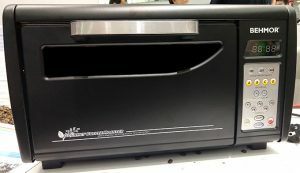 The Behmor Coffee Roaster is easily the best value for a roaster; it is one powerful and versatile machine but also one of the more challenging units to use. Raters consider the Gene Café Roaster the best value for home coffee roasting and so do we. *** Currently being drop shipped from the distributor, coffee and roaster will show up in separate boxes.